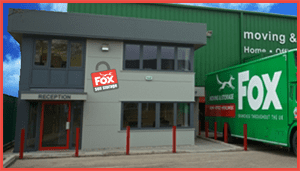 The town of Cwmbran holds a special place in the heart of Fox Removals due to it being the birthplace of our now internationally renowned removals company. Way back in 1971 Roy Fox purchased a removals business and relocated it to Cwmbran, renaming it Fox The Mover along the way. So Cwmbran is effectively where it all started for us and the reason why our company has become the success that it is today. You could say that Cwmbran is the cornerstone of the whole company, which is why we established our Group Head Office in Cwmbran in 2012. Cwmbran is just as deeply rooted in the centre of the business today as it was over forty years ago. We have seen Cwmbran alter greatly over this time, gradually growing in population to become Wales’ sixth largest urban area. This is astonishing considering that Cwmbran is classed a new town, only becoming established in 1949. Today Cwmbran covers over 3,000 acres and has a population of around 50,000 people.